Our 2016 Merlot is an excellent expression of the cultivar: rich with juicy red fruit and characteristic herbal highlights of lavender, fennel and anise with a lively eucalyptus edge. The nose offers cherry and redcurrant, while the palate reveals sour cherry, dark chocolate and spicy clove. Velvety texture is enhanced by refreshing acidity, while well-integrated tannins add structure. 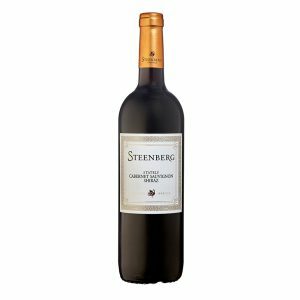 This fuller-bodied wine will stand up to rich dishes with strong Mediterranean flavours, such as braised and roast meats, tomato-based stews, mature cheeses and briny olives. Will bottle age well for five to seven years after bottling. SKU: 6008869001415. Category: Estate Range. 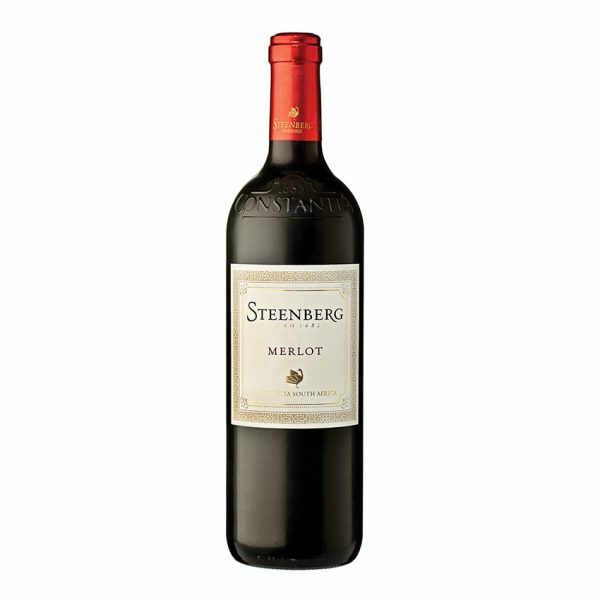 Tags: merlot, steenberg, wine. Intensive suckering and crop reduction helps concentrate the fruit and ensure that the Merlot has good colour and a distinctive character. The grapes were harvested at a sugar level of 23-25°B, after which the juice was cold soaked at 10°C for five days and fermented on the skins for 10 – 14 days, allowing the temperature in the tank to peak at 28°C. The wine was then transferred to a combination of 55% new, 30% 2nd, 10% 3rd and 5% 4th fill French oak barrels for malolactic fermentation and left to mature for 15 months. It then underwent a light fining before bottling in the second week of November 2017. 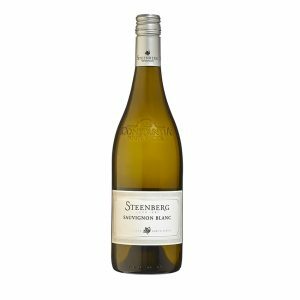 The 2018 Steenberg Sauvignon Blanc delights with notes of fig leaf, lime blossom, nettle and white grapefruit while maintaining its core minerality from the Steenberg terroir. 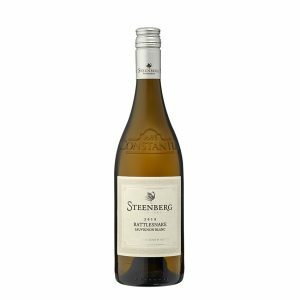 This cool-climate Sauvignon Blanc has a striking and bright acidity which keeps it vibrant and fresh on the palate and pairs wonderfully with food. All the elements of this wine will enable it to bottle age well over the next 2- 5 years. Both terroir and treatment are immediately evident in the glass. White nectarine, grapefruit, blackcurrant and cape gooseberry marry on both the nose and palate. Acidity and spice form the backbone, dominating on the palate, while a creamy texture rounds out the overall mouthfeel. A lingering mineral finish completes the experience. This wine will be enhanced by a food pairing such as shellfish, a Thai curry accented by ginger and lemon grass, a savoury tart tatin or a single wedge of salty pecorino. Although beautifully balanced from date of release, this wine is still developing. Drink now, but wait five to seven years for a truly evolved experience.